2.1 "Breathless in North Korea"
2.2 "Met frequently with Pak Chol in New York"
Christine Ahn is the Founder at Women Cross DMZ. Founding Board Member at Korea Policy Institute, and a columnist at Institute for Policy Studies. She is co-founder of the Korea Peace Network, Korea Policy Institute and Global Campaign to Save Jeju Island. Christine has addressed the United Nations, U.S. Congress and ROK National Human Rights Commission. Ahn has been a policy analyst at the Global Fund for Women, Oakland Institute, Institute for Food and Development Policy, and Nautilus Institute. 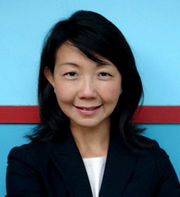 A columnist with Foreign Policy In Focus, Ahn’s writings have been published in The New York Times, CNN, and The Nation. She has appeared on Al Jazeera, CNN, Democracy Now!, NPR and Voice of America. Christine Ahn is a policy analyst with expertise in Korea, globalization, militarism, women’s rights and philanthropy. She is co-founder of the Korea Policy Institute (KPI), National Campaign to End the Korean War, and Korean Americans for Fair Trade. Ms. Ahn has participated in and led several peace and solidarity trips to South and North Korea. She has addressed the United Nations, U.S. Congress and the National Human Rights Commission in South Korea. She is a columnist with the Institute for Policy Studies’ Foreign Policy In Focus, and her op-eds have appeared in The New York Times/International Herald Tribune, CNN, Asia Times, and the San Francisco Chronicle. She has appeared on Al-Jazeera, BBC, CNN, Democracy Now!, NBC Today Show, NPR, and Voice of America. Ms. Ahn is currently Senior Fellow with the Oakland Institute and has worked with the Global Fund for Women, Women of Color Resource Center and Institute for Food and Development Policy/Food First. She helped produce Fashion Resistance to Militarism, a popular education show on the dominance of militarism in our lives. Ms. Ahn holds a master’s degree in public policy from Georgetown University and a certificate in ecological horticulture from the University of California, Santa Cruz. She has been inducted into the OMB Watch Public Interest Hall of Fame and recognized as a Rising Peacemaker by the Agape Foundation. Christine Ahn has worked with North Korean Pak Chol, the vice chairman of North Korea’s Asia-Pacific Peace Committee. .
"Breathless in North Korea" by Christine Ahn, Foreign Policy in Focus April 1, 2014. "Met frequently with Pak Chol in New York"
A two-hour White House meeting Friday January 18 2019 between President Trump and [Kim Yong-chol], the chief negotiator for North Korean leader Kim Jong-un, apparently cleared the decks for the next phase in the US attempt to convince Kim to give up his nuclear weapons in return for relief from economic sanctions and a new relationship with the United States. The other US officials at the session were Secretary of State Mike Pompeo and Stephen Biegun, the former Ford executive who is now serving as Pompeo’s Special Representative for North Korean Policy. It showed Kim Yong-chol, who is best known as the former director of the Reconnaissance General Bureau, North Korea’s notorious intelligence service, sitting in front of Trump’s desk with Kim Hyok-chol, North Korea’s former ambassador to Spain. Also in the photo are Kim Song-hye, the head of strategy at the United Front Department of the Workers Party of Korea, and Pak Chol, the vice chairman of North Korea’s Asia-Pacific Peace Committee. That is already happening. On Saturday, Biegun flew to Sweden to begin the first official diplomatic talks since the Trump-Kim meeting in Singapore last June. On Monday, he met with his counterpart in Pyongyang, Choe Son-hui, North Korea’s vice foreign minister and a well-known figure to US diplomats. Lee Do-hoon, a South Korean negotiator dispatched by President Moon Jae-in, also took part in the talks, which were described as “constructive” by Sweden’s foreign ministry. In 1989, Ahn said, Pak was the lead interpreter for North Korea during a World Youth Festival in Pyongyang that became famous in South Korea when a university student, Im Su-kyong, crossed the DMZ to attend it (she met Kim Il-sung, Kim Jong-un’s grandfather) and was arrested upon her return to Seoul. Years later, Im was elected to the South Korean National Assembly. A political activist who helped Im make her secret trip, Im Jong-seok, was also arrested, but he went on to serve until a few weeks ago as the chief of staff to President Moon. In 2004 Christine Ahn, then an activist working for Food First, an Oakland nonprofit, was invited to give a speech about North Korea at the Human Rights Commission in South Korea. In her talk, she criticized the American passage of the North Korean Human Rights Act, arguing that increased sanctions against the communist country were choking its people and exacerbating their human-rights crisis. Ahn advocated peace and engagement. She also pointed out US hypocrisy. "I said some provocative things," she recalled, calling out American human rights violations at Abu Ghraib and Guantanamo, racial biases of the US criminal justice system, and the persistent hunger and poverty of a meaningful segment of the American population. The crowd's response was overwhelming. "My perspective was obviously very fringe and a bit left, but the Korean people loved it," Ahn said, recalling her surprise. "I was, like, paparazzi'd. .... But it was just like people opened their eyes for a moment here. Okay, let's just stop for a moment here, all this propaganda about North Korea, and just like think about it here in a more pragmatic way. And, obviously, it had resonance." But one month later, she received an e-mail that tempered her excitement. It was a message from a friend, pointing her to a blog called One Free Korea. A post entitled "The Alternative Reality of Christine Ahn" criticized her viewpoint, labeled her a "North Korean apologist," and detailed facts about her life and her beliefs. Ahn was creeped out. "I mean it was so freaky to have this ten-page article about me," she said. It was authored by Joshua Stanton, a lawyer with the Department of Homeland Security who currently serves as the department's deputy chief for tort litigation. In a recent interview via e-mail, Stanton said he blogs as a private citizen, but added, "I think Ms. Ahn is a reprehensible apologist for mass murder, and for the deliberate, discriminatory mass starvation of men, women, and children." The incident horrified her. "It freaked me out so much that I was like, 'Oh, I don't think I'll continue doing this peace work,'" said Ahn, who lives in Oakland and is now a fellow at the Korea Policy Institute. But, in fact, she became more vocal, and was interviewed on CNN and talk shows such as the Today Show and KQED's Forum. Meanwhile, her list of critics grew. The following year, Ahn said one of her colleagues in South Korea received a call from the US embassy demanding to know "Who the hell invited Christine Ahn to speak at the panel?" She's now listed on DiscoverTheNetworks.org, a web site by conservative author David Horowitz that she describes as an "online database of all these cells, like terror cells of academics, think-tanks, foundations, Hollywood stars." She's described as a "Supporter of the Communist dictatorship of North Korea." This is to inform you that Pyongyang expressed its full support to the International Women’s Peace Walk. The Korean Committee for Solidarity With World Peoples, the Democratic Women’s Union of Korea, the Committee for Overseas Compatriots of Korea and other related organizations will render all necessary assistances to the event for its success. Since this is an international peace event timed in this special year marking 70th anniversary of liberation and simultaneous division of our beloved country and nation, we hope that the event will be a specially significant contribution to terminating the current status of war, replacing armistice with peace agreement, and thereby achieving permanent peace and reunification on the Korean Peninsula. On Christmas Eve of last year, we received the best gift we could have imagined through our adviser, former New Mexico Governor Bill Richardson, when we were informed by the U.N. Command that, upon receiving confirmation from the Republic of Korea, they would be prepared to facilitate our DMZ crossing. Circa October 2009 Christine Ahn and Paul Liem, the Berkeley-based president of the Korea Policy Institute, arranged a meeting to discuss US-North Korean relations between themselves, ten other activists, and members of the State Department and Congress, including Frank Januzzi, John Kerry's senior Korea advisor, who also works for the Senate Foreign Relations Committee. They were received much differently than during past visits, Ahn said. "Something about the Bill Clinton trip really changed the dynamics in a very significant way," she said. "The whole regime-change discourse felt like it was long gone, that was history. It also felt like that they just knew that diplomacy was the way forward and that there had to be some kind of breakthrough with North Korea. It was just a matter of how and when." "If more and more Americans knew about the kind of diversity of people that are really questioning US involvement, US military occupation, 30,000 troops still on the Korean peninsula, all the kind of crimes committed towards the civilians by the US military ... I think they would say, 'Okay, it's like the Korean War has got to end,'" said Ahn. "Enough is enough. We need a new kind of way, a new way of moving forward on US-Korea policy." Ahn and her cohorts at the Korea Policy Institute are trying to do just that. Formed in 2006, the Los Angeles-based group aims to provide a unified, coherent, and informed voice on US-Korean policy that it hopes will one day lead to the signing of a peace treaty. With Tulsi Gabbard Aiyoung Choi and Ann Wright. May 2003:Roger Kim, Judy Han and Christine Ahn were members of the Korea Solidarity Committee who published in War Times, May 2003 "U.S.-North Korea Nuclear Crisis Intensifies"
In 2003 Christine Ahn and Eunice Cho of the Korea Solidarity Committee, and Kawal Ulanday of CHRP and Filipinos for Affirmative Action gave talks entitled: "Korea/Philippines Solidarity Forum" In these talks, the speakers examined the U.S. Administration's intervention in Korea and the Philippines and the resistance of these communities. The talks were co-sponsored by CHRP and the Korea Solidarity Group. The classes were held at the San Francisco based Center for Political Education, an organization closely associated with the Committees of Correspondence for Democracy and Socialism. Friday, November 7, 2003, joining 30 other campuses and institutions worldwide, Korea Solidarity Committee helped organize a Korea Peace Day event at UC Berkeley, in conjunction with the Alliance of Scholars Concerned about Korea. Organized and moderated by Judy Han, (Graduate Student and Korea Solidarity Committee). Initiated by the Alliance of Scholars Concerned about Korea, more than 30 college campuses nationwide are sponsoring events devoted to understanding the current crisis and advocating for peaceful resolutions. In 2003 Christine Ahn and Jan Adams gave talks entitled: "Non-Profits and the Movement - the structure of the non-profit system and the impacts on left movement building, and alternatives, with an eye towards the future of non-profits". The talks were hosted by the Center for Political Education. As part of its War & Liberation series, Center for Political Education hosted a discussion with leading Korea peace activists and experts on the historical roots of this conflict. The panel discussed what peace and social justice movements are doing and must do locally, nationally and internationally to avert war. Co-sponsored by Women Cross DMZ, Hella Organized Bay Area Koreans (HOBAK) and Catalyst Project. November 10, 2017, First Congregational Church of Oakland. Christine Ahn, Gretchen Alther, Rev. Levi Bautista, Jackie Cabasso, Herbert Docena, John Feffer, Bruce Gagnon, Joseph Gerson, Subrata Goshoroy, Mark Harrison, Christine Hong, Kyle Kajihiro, Peter Kuznick, Hyun Lee, Ramsay Liem, Andrew Lichterman, John Lindsay-Poland, Ngo Vinh Long, Stephen McNeil, Nguyet Nguyen, Satoko Norimatsu, Koohan Paik, Mike Prokosch, Juyeon Rhee, Arnie Sakai, Tim Shorrock, Alice Slater, David Vine, Sofia Wolman, Kevin Martin. Christine Ahn, Sun Hyung Lee visited North Korea under DEEP: Democratic People's Republic of Korea (DPRK) Exposure and Education Program in 2004. According to Kent Mori, 80 people attended a forum on U.S. war threats and aggression against North Korea, Oct. 24. 2017The event was organized by the Minnesota Peace Action Coalition and took place at the University of Minnesota. Christine Ahn To Speak In L.A. On March 6 2018, Physicians for Social Responsibility Group At Immanuel Presbyterian Church In Koreatown. This page was last modified on 18 March 2019, at 03:54.